It's Hullabaloo at San Diego Children's Discovery Museum this summer. San Diego Children’s Discovery Museum (SDCDM) is hosting two evenings of family fun as part of the First Annual Summer Concert Series featuring Hullabaloo. The event is set to bring the community together in the spirit of summer and raise funds to benefit the Museum’s educational exhibits and programs. Mark your social calendars, then, for 5 p.m. to 7 p.m. Friday July 15 and Friday, Aug. 5 at which times Hullabaloo will live up to its name. Live music galore, along with crafts in the Outdoor Art Studio, food vendors and beer and wine for the elders will hold court in the courtyard. The event is FREE with Museum Admission ($6 per person / $3 Active-Duty Military, Veterans, and their Families, children 12 months and under are free). The event will be held in the Children’s Discovery Garden at San Diego Children’s Discovery Museum, 320 N. Broadway, Escondido, CA, 92025. For more information, visit http://sdcdm.org/summer-concert-series. Summer camps soon in session at EcoVivarium. Sometimes you just got to get your reptile on, which is where EcoVivarium comes into play. 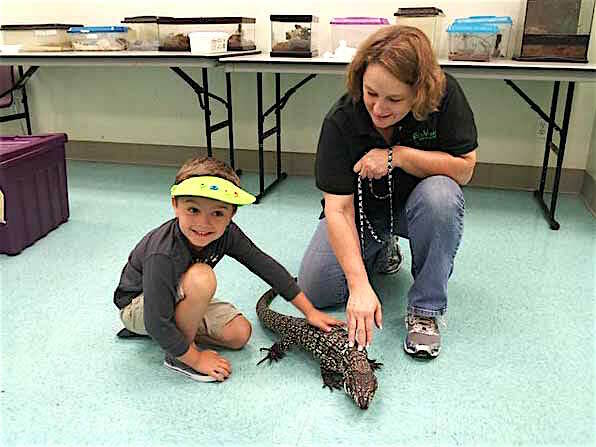 The Escondido-based non-profit that provides educational programs and camps “with the focus to ignite a passion for learning beyond the textbook and classroom,” specializes in programs involving rescues for the reptile, amphibian and arthropod communities. And if you don’t know what those are, maybe time to check out the EcoVivarium community. EcoVivarium provides educational experiences in the classroom and on-location. Programs are presented with assistance from their special education ambassadors of the reptile, amphibian and arthropod communities. The animals are unique not only by their species, but by the fact that more than 98 percent of them are rescues. These amazing creatures have been rehabilitated and trained to serve as ambassadors. The group offers junior camp for grades K-2, camp for grades 3-5, and counselor-in-training camp for grades 6-12. Three camp programs are available: Reptile Explorers, Ectotherms in Art, and Family Camp. Being a non-profit means relying on the community for financial assistance. The John Krakauer Charitable Trust did just that this week with a $15,000 grant to keep the EcoVivarium programs vibrant. “We are grateful to the Krakauer Trust, Mary Jo and Stacey for their continued and growing support.” said Susan Nowicke, president of EcoVivarium. “Thanks to their support we are better able to expand the reach and resources available for our community education programs and to expand our summer programming as well. The John Krakauer Charitable Trust was established in 2012 to fulfill the donor’s philanthropic vision of supporting programs that have a measurable impact on people’s lives. His philanthropy was guided by charitable organizations that exemplify innovation, entrepreneurial spirit, impact, passion, and collaboration. For more information, visit www.EcoVivarium.org. Third annual “Summer STEM Challenge” coming soon, too. It’s hosted by the Biocom Institute Festival of Science & Engineering San Diego in partnership with ViaSat, a global broadband services and technology company headquartered in Carlsbad, California. This year’s challenge, which is inspired by space exploration and travel, takes place July 11 through August 19. The “Summer STEM Challenge” encourages students and parents throughout the San Diego region to seek, find and try “do-it-yourself” (DIY) science, technology, engineering and math (STEM) experiments and projects that can be created with everyday household items. 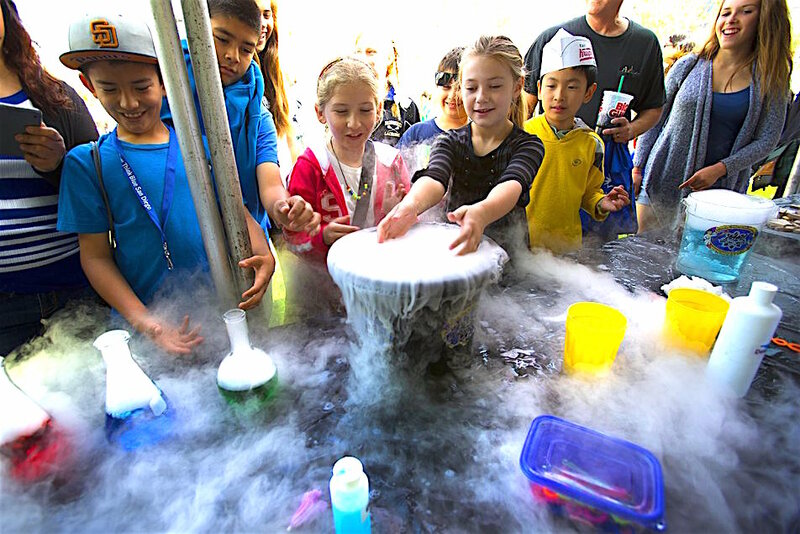 The recent eighth annual Biocom Institute Festival of Science & Engineering San Diego (formerly known as the San Diego Festival of Science & Engineering) was held in March 2016, and successfully brought together more than 65,000 kids, parents, teachers, industry leaders and community members for EXPO Day and Festival Week. This year’s festival expanded its event efforts to not only adults with its new 21 and up series, but also to diverse communities in San Diego with mini versions of EXPO Day through its “STEM in Your Backyard” series. Through the “Summer STEM Challenge,” the festival continues to expand their year-round activities and events, not just one week per year during Festival Week and EXPO Day. For more information, visit http://www.lovestemsd.org or call (858) 455-0300, Ext. 104. Connect on Facebook (https://www.facebook.com/loveSTEMsd) and Twitter (@LoveSTEMsd). Be the first to comment on "Music, reptiles and science this summer"